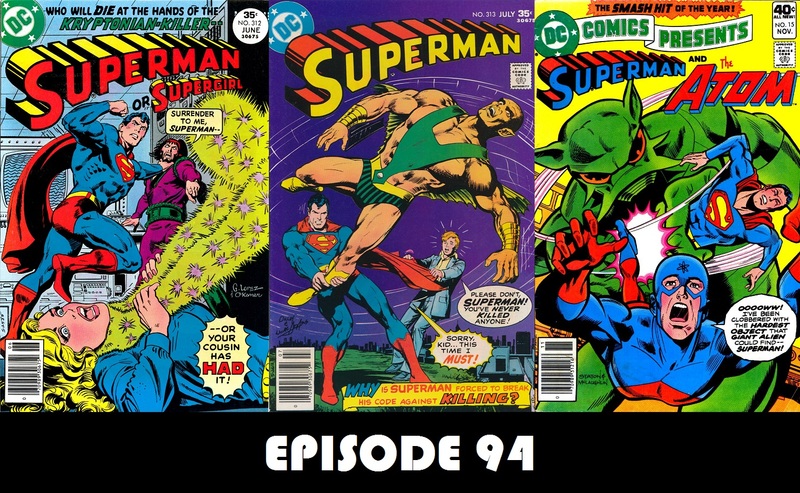 Episode 94 — Supergirl, Revelations, and the Atom! In Episode 94, Supergirl joins in the fun as we learn not only who is really behind the virus affecting the nation’s reporters, but we also learn who is the carrier of the plague. Plus, thanks to J David Weter, we learn about the time Superman help the Atom overcome his fear of shrinking. Hi Charlie (and David)! Glad you were feeling good enough to put out Episode #94. You sounded good to me. I was kind of bummed because I wanted to read the comics and then listen. Well, I didn’t have Superman #313 in my collection so I didn’t even know how things turned out until your synopsis. (which was great, by the way) I’m afraid the next comic in my Superman comic collection that you will talk about is #319. I guess I’ll have to listen even more intently so I know what’s going on. I do have a question for David and you’re welcome to answer too if you want. I was wondering what his favorite DC Comics Presents issue was and why? Also his least favorite. My favorite is Annual #1 with the team up of the Supermen of Earth-1 and Earth-2. I don’t know about a least favorite. I like them all. I am getting closer and closer to getting my full run. By the way, I still don’t have all of the Sandman Saga comics but I did purchase the DC Comics Library Edition of Kryptonite Nevermore. I still want to get the comics at some point, but at least I can fully read the story now. Looking forward to Episode #95. Hope you are feeling 100% by then. Bye!